Navratri literally means ‘nine nights’ and during these nine days which mark the celebration of Durga Puja in India, different incarnations of the Goddess Durga /Shakti or the original creator, observer and destroyer of the universe, are worshipped. The festival is an integral part of the Hindu tradition and different regions in the country follow different rituals to perform puja on this auspicious occasion. We offer different types of Offering to goddess each day.I would like to share one of the easiest and yummiest recipe with you. 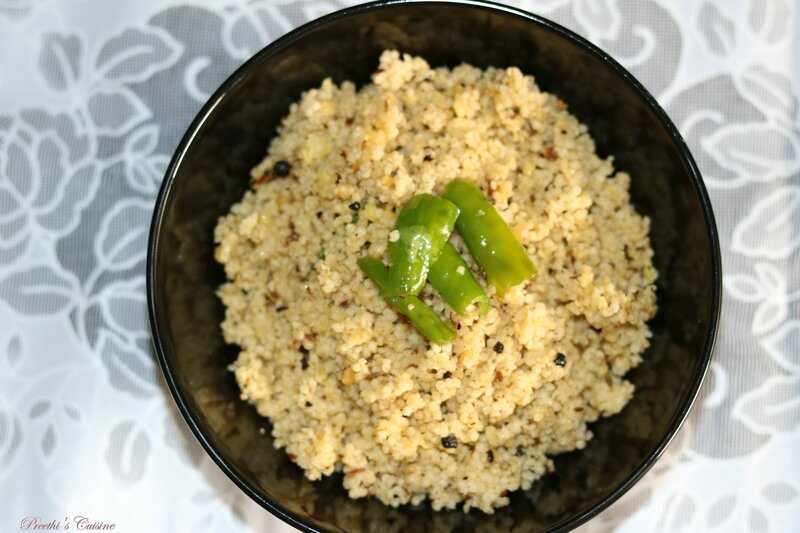 Mix foxtail millet and Moong dal/ Green Gram Split with 3.5 cups of water in cooker and cook upto 3 whistles. Keep it aside. Heat ghee/ clarified butter in a wok. Add Jeera / Cumin and coarsely crushed black pepper. Add 2 slit green chilles and fresh curry leaves. 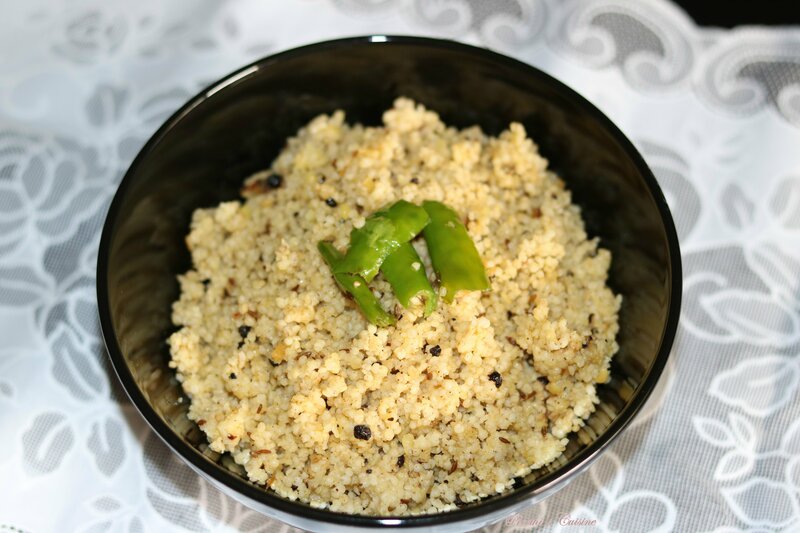 Add the cooked millet and moongdal mix. Add salt to taste and mix well . Switch off the stove after 5 mins. You can garnish with extra tadka and serve hot with peanut chutney. This is truly awesome post!!! I had never tried this…will do it for sure! Completely different and yummy recipe. Thanks for sharing….